Up until a couple of years ago, the temple of Beng Mealea was hard to visit – it lay down a rutted dirt road sixty bonejolting kilometres from the main Angkor temple complex where the likes of Angkor Wat, The Bayon and Ta Phrom are located (See my Angkor Wat: A Brief Guide for more info on the main Angkor temples). 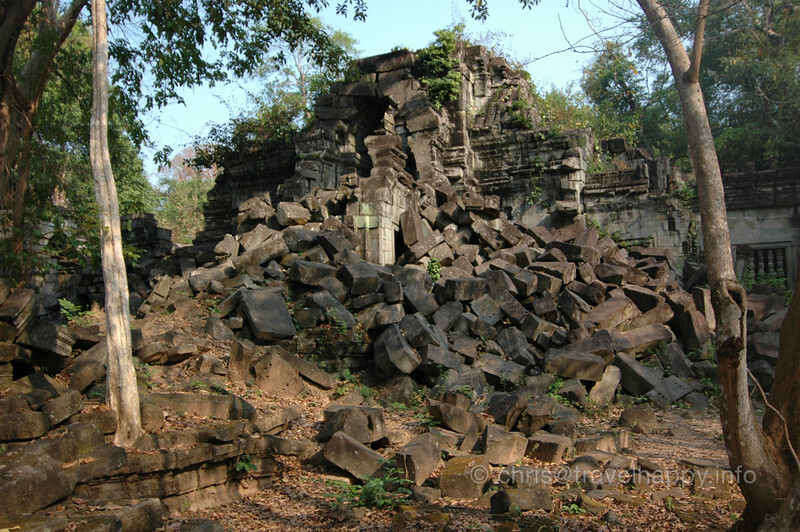 Recently, however, a properly constructed road has been completed and now Beng Mealea is a fairly easy half hour drive from Siem Reap, the town nearest to the Angkor temples. 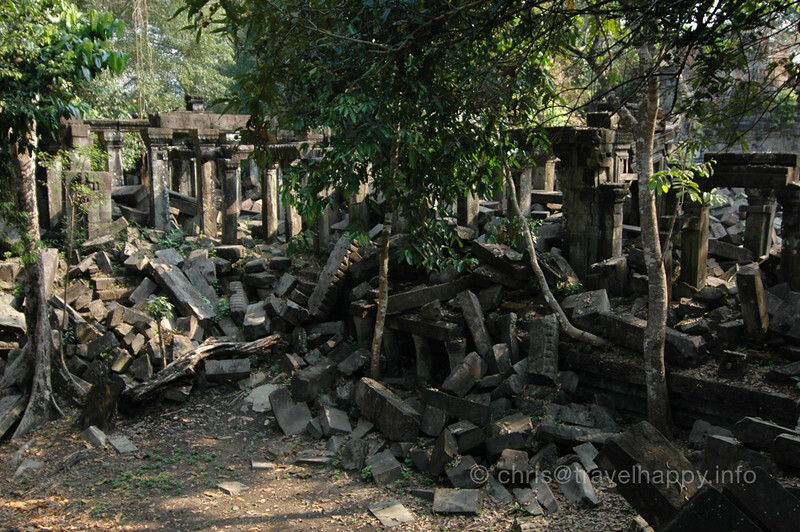 Beng Mealea is special because it’s one of the Angkor temples that’s been left to be reclaimed by nature, unlike most of the other temples which were restored by the French in the 1800s after centuries of neglect. 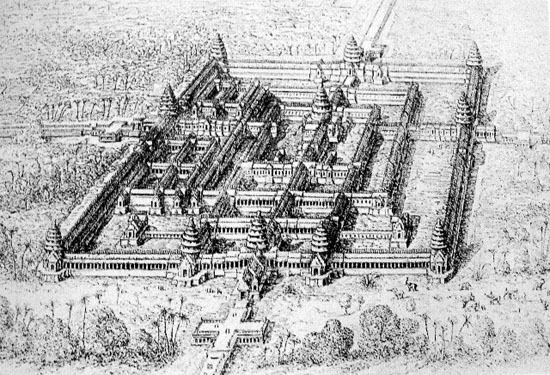 Beng Mealea is also impressive despite lying in ruins due to its sheer size – from the 1860 drawing by Louis Delaporte (see below) you can see that it was built in a similar style and size to Angkor Wat itself, which remains to this day the largest religious monument on the planet. There’s something very picturesque about walking through the ruins, similar to Ta Phrom in the main Angkor complex, although Beng Mealea is far bigger and has several levels giving different vantage points down into the temple’s heart. 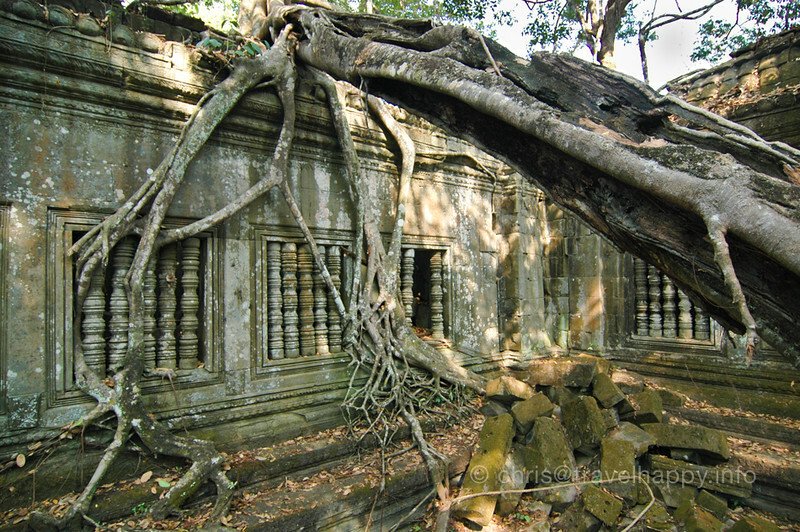 Whereas Ta Phrom has its foliage regularly pruned to keep it from being completely taken back by the jungle, Beng Mealea is the real thing. Local guides can take you scrambling through the complex to show you the most interesting parts of the fallen masonry and sculpture, many bits of which are hidden away from view. If you want a sense of what it was like for the first French explorers when they discovered Angkor, this would be the nearest you’ll get to it. Like Kbal Spean, Beng Mealea is considered one of the minor attractions of Angkor and yet for me it’s one of my favourites – partly because there’s few other people visiting (if you get there early) – and partly because the journey out through the Cambodian countryside is a great leadup to arriving at the temple. 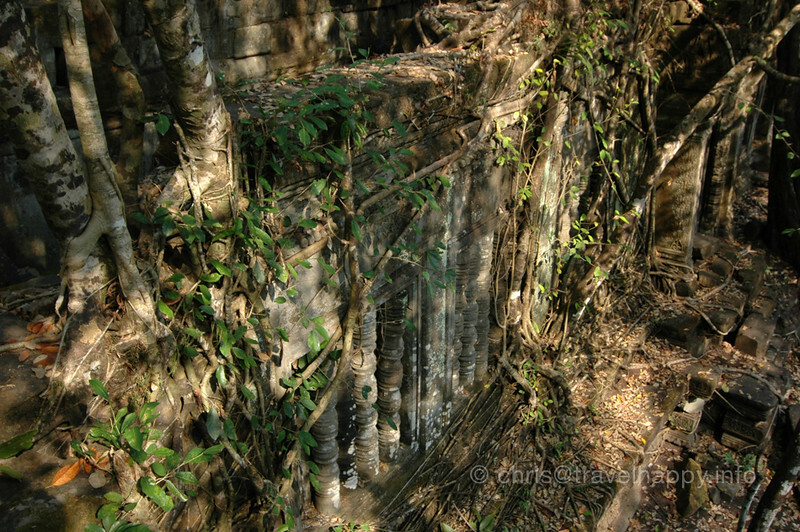 If you’re interested in finding out more about Beng Mealea, there’s an excellent and exhaustive account of a visit to Beng Mealea in 2004, when it was still off the beaten track by Willard Van De Bogart on his own website. 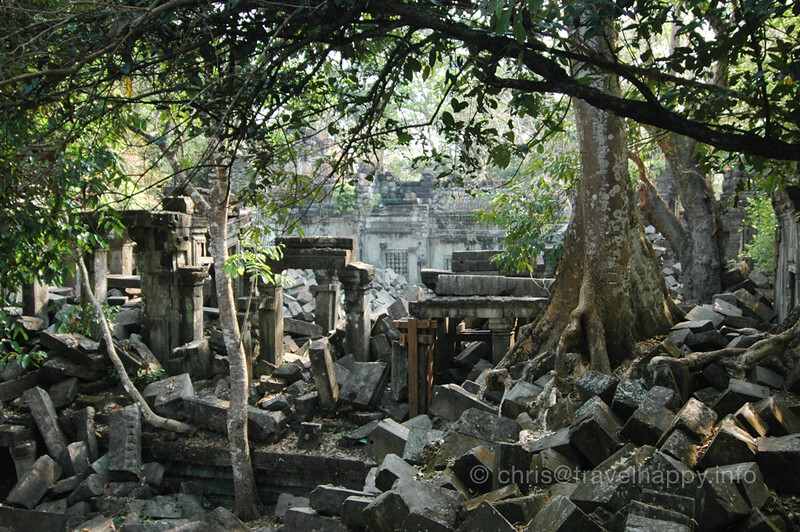 Bogart took lots of great photos and has clearly researched Beng Mealea’s history thoroughly. 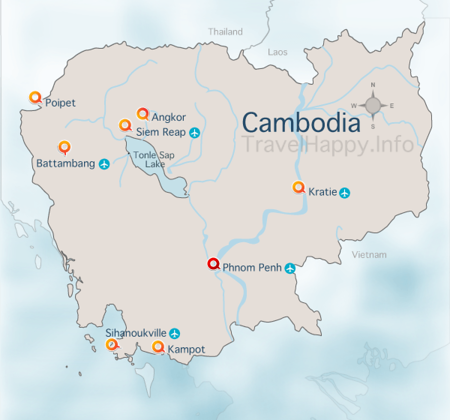 Over the last five years, Angkor Wat has become incredibly popular – it’s very easy to get to Angkor Wat from Bangkok and there is a huge range of hotels to stay at in Siem Reap to suit all budgets. 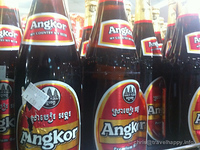 My favourite is the Foreign Correspondent’s Club or FCC Angkor. 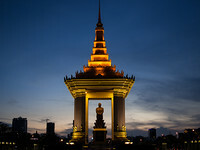 Cambodia is also relatively cheap for travellers, as you can work out from How Much Money Do I Need For Cambodia. If you’re looking for a quick, pictorial guide to the Angkor temples, I recommend Angkor: Heart Of An Asian Empire or watching the Angkor Wat documentary on YouTube.